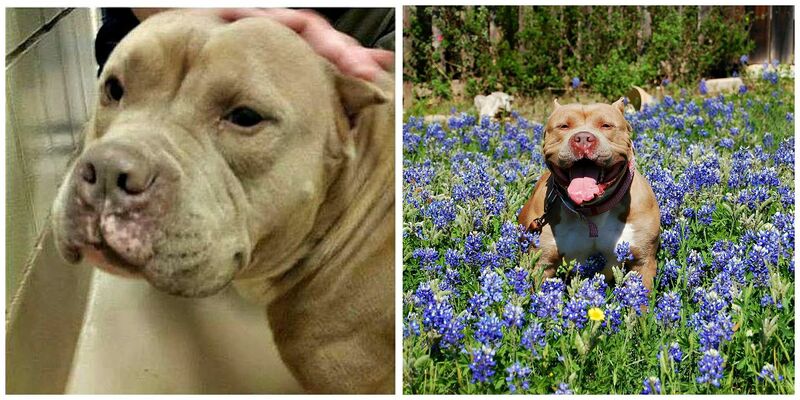 The money was used to provide veterinary care for two dogs, Rocky and Puddin. 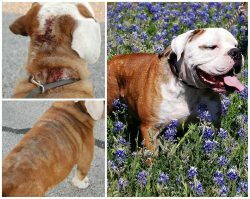 The vet treated Rocky for demodex mange, secondary skin infections, double ear infections, double eye infections, and several skin tags that had to be removed and sent to a lab for biopsy. Puddin had to be x-rayed for BB pellets; she needed heartworm treatment since she tested heartworm-positive and another round of vaccinations, and she will be spayed and microchipped once her heartworm treatment is completed. We are dependent upon contributions, as we receive no money from state or local government. The Orvis grant came at a time that we needed assistance with veterinary care. Everyone involved with our rescue is a volunteer, and we have also been given food donations, so the money went strictly towards veterinary care. 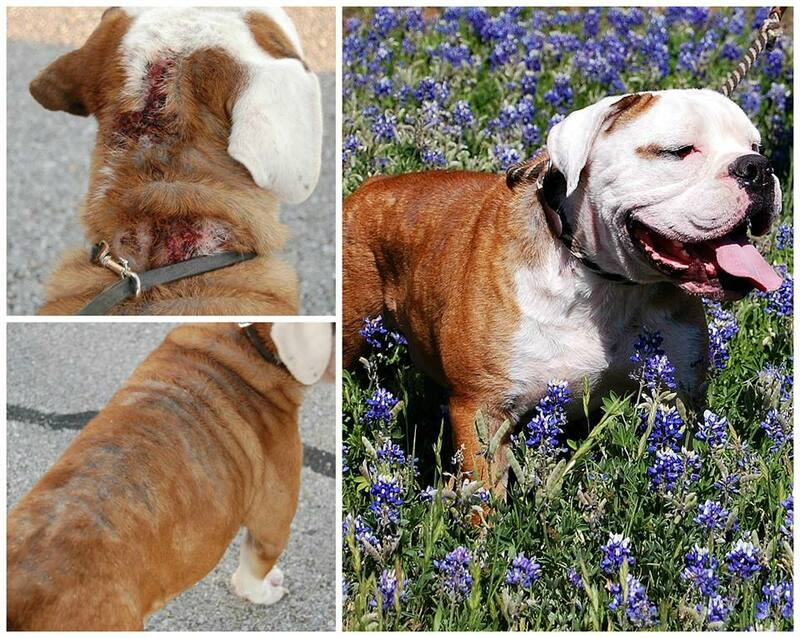 Rocky is an Olde English Bulldog whom Don’t BULLY Me Rescue pulled from Williamson County Regional Animal Shelter. At that time that we brought him into our rescue, he was suffering from hair loss due to demodex mange; large, open, gaping wounds which made us think that he had been shot with some sort of weapon; double ear and eye infections; and secondary skin infections. He also had skin tags that caused us to be concerned about possible skin cancer. We immediately took Rocky to the vet and started a course of treatment that involved medication for the demodex mange, medicated shampoo to help with the healing, and medications to cure the eye and ear infections. Through it all, Rocky remained loving and good-spirited, despite having to have things put into his eyes, ears and mouth! Today, Rocky is looking marh-va-lous! He is a typical bulldog: stubborn but loyal, loving and spirited. Rocky will greet you with lots of snorts and kisses! Rocky and the DBMR team thank Orvis and the Petfinder Foundation for the wonderful grant that helped to make his life so much better! !